This ultra-soft, synthetic bristle Kabuki brush allows you to achieve buildable medium to full coverage for a customizable, beautiful look. The Kabuki makeup brush is an essential component of the modern makeup collection; this versatile tool can be used to apply loose and pressed mineral foundations, and also serves as a wonderful bronzer and blush applicator. The soft bristles of our kabuki foundation brush can grab and blend color, providing even coverage for a flawless finish. Build your medium to full coverage using the ColoreScience, ultra-soft, Kabuki brush and achieve a beautiful look. Essential for your makeup collection, this is the perfect tool to help achieve the perfect look with your ColoreScience products. 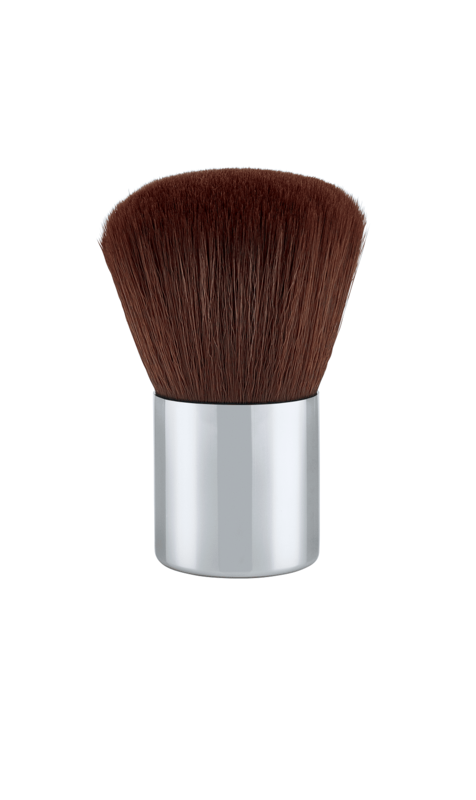 Using the soft bristle, this kabuki brush blends colour providing an even, flawless finish.